The blues is about many things. Son House believed it was all about the relationship between a man and his woman. Blues have been sung about every contraption and every situation imaginable. 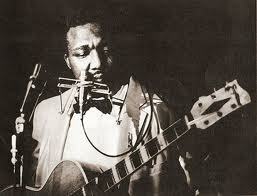 The strain of the blues that I’ve always found the most powerful is the one that speaks of the singer’s experience. Whether that be poverty, love, injustice, politics or a favorite drink. I spent a month, many years ago now, locked within a compound on the border of Afghanistan. A small clutch of cassette tapes kept me company through the long days and evenings. One of them was a C-90 with Memphis Slim on Side ‘A’ and Champion Jack Dupree on Side ‘B’. Both were good but Side ‘B’ was full of stories from Jack’s life. Ugly mothers-in-law, noisy neighbors, racist white people, the sun going down and his dream of being honored by JFK. He delivered each with humor and pathos. By the time I left that compound I felt like I knew who Jack Dupree was. All I really knew about Memphis Slim was that he played raunchy piano. And not only did I ‘know’ Jack’s life, I felt as if his blues had given me a glimpse into the everyday experience of black American man before the civil rights movement. The blues of JB Lenoir, one of which opens this post, are similarly powerful. Considered by many to be one of the all time great bluesmen, the “bluesman’s bluesman”, he was born in the deep south but moved to Chicago, the terminus of the great northern migration, as a young man. 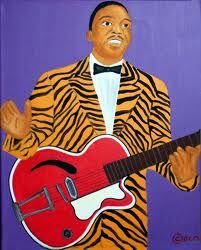 Beginning in the mid 50’s JB wrote songs that stood apart for their frankness and clarity of vision. He didn’t pull any punches, though his record companies sometimes did, renaming Eisenhower Blues, to Tax Paying Blues, in an effort to not piss off the President. He sang with a high, slightly fragile voice but of difficult subjects. The way he hated the south. The war, being poor. Like a prophet from the Old Testament he called upon God to wield his terrible swift sword. He is best remembered, though, for several fast paced songs that are part of the great American bar band songbook now: Mama Talk to Your Daughter, Mojo Blues and Voodoo Blues. In 1967, he had an accident and died some weeks later, just a couple years short of 40. Given my current location, I share this brilliant, brave music, compiled in an album called Vietnam Blues for your Sunday listening pleasure. What a wonderful record! Thank you so much for sharing. 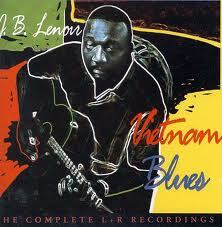 I have listened to many blues albums from UK to African blues but this one has to be one of the best I've heard. I love the simplicity and clarity of the recording. He has the voice of a gospel singer! Keep on sharing the love! Mofonk, I agree. A unique voice. J B Lenoir has been a haunting and thought-provoking experience, his tunes floating in the back of my mind. Such an original voice Listen a while and the man tells you who he is. Musrafak, It has been deleted. will reup in the next day or so. Musrafak, reupped. link is barely visible in yellow at the left bottom side of the post.